Peter Schreyer (born 1953) is a German automobile designer widely known for his design contributions to the Audi TT. He has been the chief design officer at Kia Motors since 2006 and on 28 December 2012, was named one of three presidents of the company. In November 2018 Schreyer was replaced by Luc Donckerwolke as the chief designer at Hyundai-Kia. In 2006, Car Design News called the Audi TT one of "the most influential automotive designs in recent time". Schreyer was born in 1953 in Bad Reichenhall, Bavaria, West Germany and began studying in 1975 at the Munich University of Applied Sciences (Fachhochschule München - Industrie Design). He worked with Audi first as a student in 1978, graduating in 1979 with his Industrial Design degree. Subsequently, Schreyer won the Audi Scholarship to study at the Royal College of Art, London from 1979-1980 as a transportation design student. In 1980, Schreyer began working with Audi in exterior, interior and conceptual design. In 1991, he moved to the company's design studio in California. He returned to the Audi Design Concept Studio in 1992, and the following year moved to Volkswagen exterior design department. Schreyer is known for wearing all black clothing, black eyeglasses designed by Philippe Starck, and for his "competitive, inventive and analytic" nature. "I try to look at architecture and art and music, things like this. I like things that are not average, and people who follow their own vision." Beginning in 2005, Kia focused on the European market, identifying design as central to their growth strategy — leading to the 2006 hiring of Schreyer as chief design officer. Schreyer has been central to a complete restyling of Kia's lineup, overseeing design activities at Kia's design centers in Frankfurt, Irvine, Tokyo and the Namyang Design Center in Korea. Schreyer indicated in a 2010 interview that Kia had a "neutral image" - indistinguishable whether it was Korean or Japanese - and stated that "it's very important that you are able to recognise a Kia at first sight." The Kee concept vehicle, shown at the 2007 Frankfurt Motor Show, introduced a new corporate grille to create a recognizable 'face' for the brand. Known as the Tiger Nose, Schreyer indicated he wanted "a powerful visual signal, a seal, an identifier. The front of a car needs this recognition, this expression. 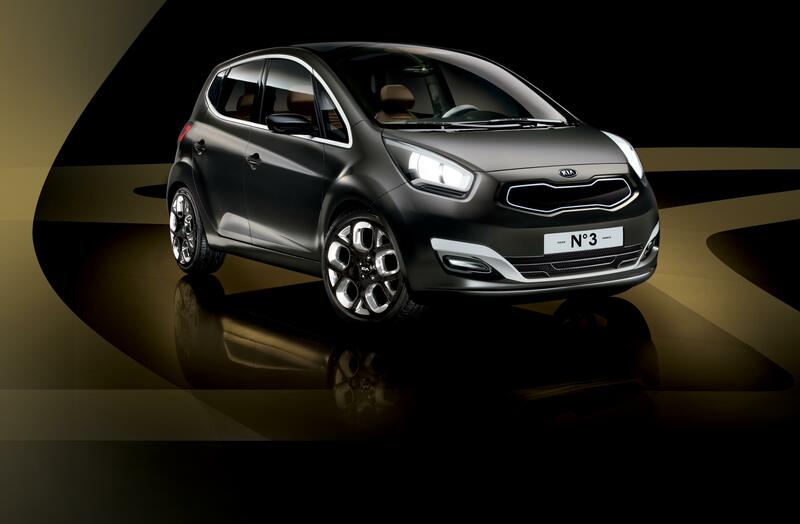 A car needs a face and I think the new Kia face is strong and distinctive. Visibility is vital and that face should immediately allow you to identify a Kia even from a distance". Commenting on the new signature grille in 2009, Schreyer said "Tigers are powerful, yet kind of friendly". The nose is "three-dimensional - like a face, not just a surface with a mouth drawn on it. From now on, we'll have it on all our cars". 1995 Schreyer founded and juried the "Internationaler Audi design Förderpreis". 2003 Design Award of the Federal Republic of Germany. 2007 honorary doctorate from the Royal College of Art in London, following Sergio Pininfarina and Giorgetto Giugiaro as only the third automotive designer to receive the honor. 2014 EyesOn Design Lifetime Design Achievement award. ^ "Hyundai and Kia appoint Schreyer to group design role". BBC News. 13 January 2013. Retrieved 18 February 2015. ^ "Designer of New Beetle and Audi TT to Spearhead KIA Global Design". Autochannel. 31 July 2006. Retrieved 18 February 2015. ^ a b "Porträt Peter Schreyer: Kia-Chefdesigner ind Künstler" (in German). Auto, Motor und Sport. 9 May 2009. Retrieved 18 February 2015. Zu den wichtigsten Entwürfen, die in seiner Zeit als Audi-Designchef entstanden, zählt er den Audi TT und den A2. ^ Williams, Stephen (11 February 2010). "Chicago Auto Show: Kia Ray Plug-In Hybrid Concept". The New York Times. Retrieved 18 February 2015. Peter Schreyer, who heads the design operation at Kia, previously worked for more than eight years at Audi, where he was instrumental in designing the A6 and the TT. ^ a b c d e f g h "Peter Schreyer is new Kia Design Director". Carbodydesign.com. 26 July 2006. Retrieved 18 February 2015. ^ "Kia promotes design chief Schreyer". Autoweek. 27 December 2012. Retrieved 18 February 2015. 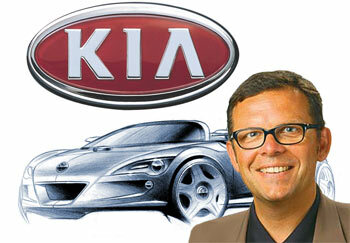 ^ a b "Whos Where: Peter Schreyer to head Kia Design". Car Design News. 31 July 2006. Archived from the original on 20 August 2006. Retrieved 24 March 2018. ^ a b Patton, Phil (24 October 2007). "You're Hired. Now Turn Humdrum Into Must-Have". The New York Times. Retrieved 18 February 2015. ^ a b Bird, Guy (17 March 2009). "Interview Peter Schreyer". Green Car Design UK. Archived from the original on 13 August 2009. ^ "Chief Design Officer Peter Schreyer". Kia Motors New Zealand. 2010. Archived from the original on May 24, 2010. Retrieved March 24, 2018. ^ Ihlwan, Moon (21 May 2009). "Kia Motors' Cheap Chic". Business Week. Retrieved 18 February 2015. ^ Maric, Paul (12 March 2010). "We Interview Peter Schreyer Head of Design at Kia". caradvice.com.au. Retrieved 24 March 2018. ^ a b "Interview with Peter Schreyer, Chief Design Officer" (Press release). Kia Press. 2 March 2010. Archived from the original on 1 August 2010. Retrieved 24 March 2018. ^ Patton, Phil (9 April 2010). "Ex-Copycats Find Their Own Styles". The New York Times. Retrieved 18 February 2015. One of Mr. Schreyer’s first moves was to establish a distinct Kia face. The 'tabbed' grille first appeared on the Kee concept car in 2007. The feature was called the Tiger grille, but Mr. Schreyer has backed away from the nickname — not because of any association with the golfer, but because 'tiger' suggests outdated notions about Asian economies. Mr. Kearns calls it the 'Kia signature grille'. ^ Sloane, Alastair (25 April 2009). "Kia on the straight and narrow for design of new sedan". New Zealand Herald. Retrieved 18 February 2015. ^ a b "Peter Schreyer to be honoured by Royal College of Art". Carbodydesign.com. 24 June 2007. Retrieved 18 February 2014. ^ Brophy, Drew (16 December 2013). "2014 EyesOn Design Lifetime Achievement Award Winner announced" (Press release). eyesondesign.org. Retrieved 18 February 2015. ^ "Remember the Name Peter Schreyer". Carenvy.ca. 26 February 2009. Archived from the original on 1 January 2013. ^ Vondruska, Jamie (2 March 2004). "Geneva Auto Show 2004: Volkswagen Concept C". VWVortex. Retrieved 18 February 2015. ^ "Kia Corporate News". kia.com (Press release). Retrieved 18 February 2015. This page was last edited on 29 March 2019, at 00:43 (UTC).